Georgetown University Graduate Student Government (GradGov) is the official voice of main-campus graduate students to the University administration & faculty. GradGov promotes graduate student interests by offering year-long opportunities for professional, social, and academic development across all graduate school programs. GradGov is a democratic institution that primarily advocates for the broad inclusion of Georgetown's growing graduate student population within all University processes and functions. We work alongside University partners to promote graduate and professional students interests through committees, working groups, and specific school councils. GradGov is led by the Executive Board, which consists of a President, Vice President, and eight Operational Directors. All graduate schools and programs are represented within GradGov's legislature: the General Assembly. In addition, we work with graduate students, University administrators, and the leaders of various student councils to create the President's Council. If you are interested in learning more about this process, please see here. All main-campus graduate students are members of the GradGov, and are invited to join us as members of the Executive Board, the General Assembly, or the President's Council. Numerous opportunities for engagement exist within our working groups, committees, and councils. We hope you'll explore those opportunities during your time at Georgetown. Explore the resources on this page, submit suggestions, and find your GradGov school councilors and representatives! Elected by the General Assembly, our team is dedicated to ensuring graduate students receive better representation and are more engaged in the campus community. Come meet our Executive Board, and don't hesitate to reach out to us at gradgov@georgetown.edu if you have any questions or comments. 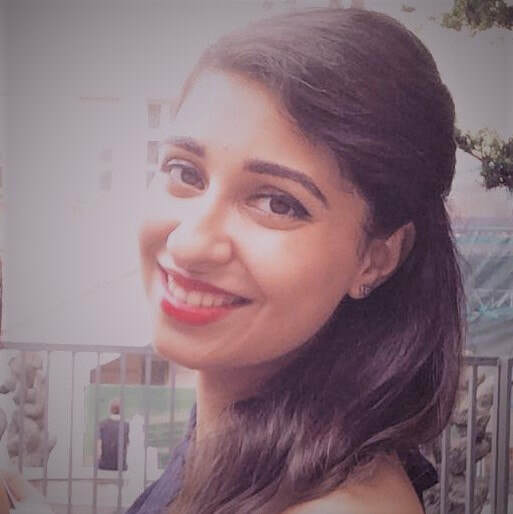 Nakshidil is pursuing a Master of Science in Foreign Service at Georgetown University’s Edmund Walsh School of Foreign Service with a concentration in Global Business and Finance. 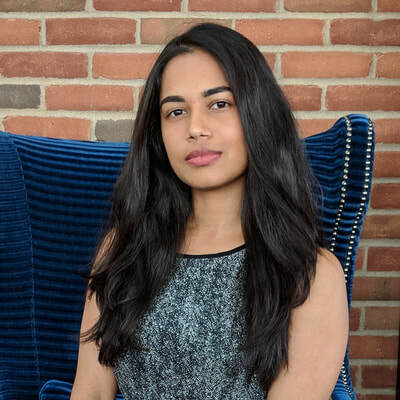 She was born and raised in Mauritius and completed her Bachelor of Arts at the University of Michigan-Flint, with majors in Political Science and Sociology. Nakshidil had the privilege of serving as Student Government President where she worked on sexual misconduct policy reform, Flint water crisis relief efforts, and student transportation facilities among others. Prior to joining Georgetown, she worked in institutional fundraising, focusing on capital campaign strategies, donor engagement and corporate relations. This cultivated her interest in financing social impact and exploring blockchain technology as an instrument for social change. 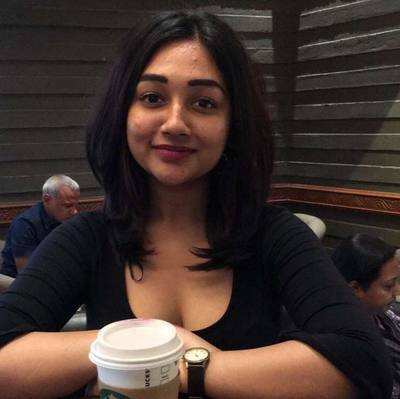 She is currently an intern at the Blockchain Trust Accelerator (BTA) at New America. 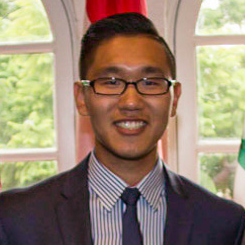 Shuai (Alexander) is a graduate student pursuing public policy at McCourt School. He graduated with a degree in Economics and International Relations (Distinction) from Maxwell School, Syracuse University. Shuai served as the first-year representative for alumni outreach at Georgetown Public Policy Student Association in the past year. Now, as the Vice President of GradGov, Shuai hopes to ensure students with the access to an upgraded transportation system and a extended health care service on campus. He would also like to build cooperation between GradGov and affiliated student organizations and establish joint events for students' professional development. Huachao is second-year student in the Full-time MBA program. Huachao is from Beijing, China. Before business school, she studied Financial Engineering and worked for Bank of China. Robyn is a third-year student in the MBA Evening Program. Originally from Wayne, Pennsylvania, she graduated from the University of Maryland with a degree in International Business. 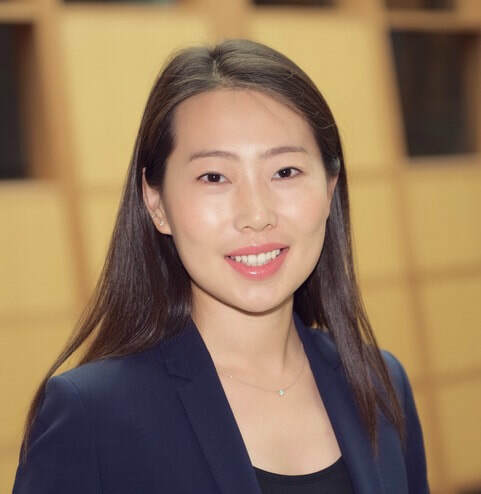 After graduation, she worked as an English preschool teacher in Seoul, South Korea for three years, and she now works in Events & Communications at the BMW Center for German and European Studies in Georgetown's School of Foreign Service. As the returning Director of Groups, Robyn plans to continue her efforts toward cooperation between various student groups on campus. 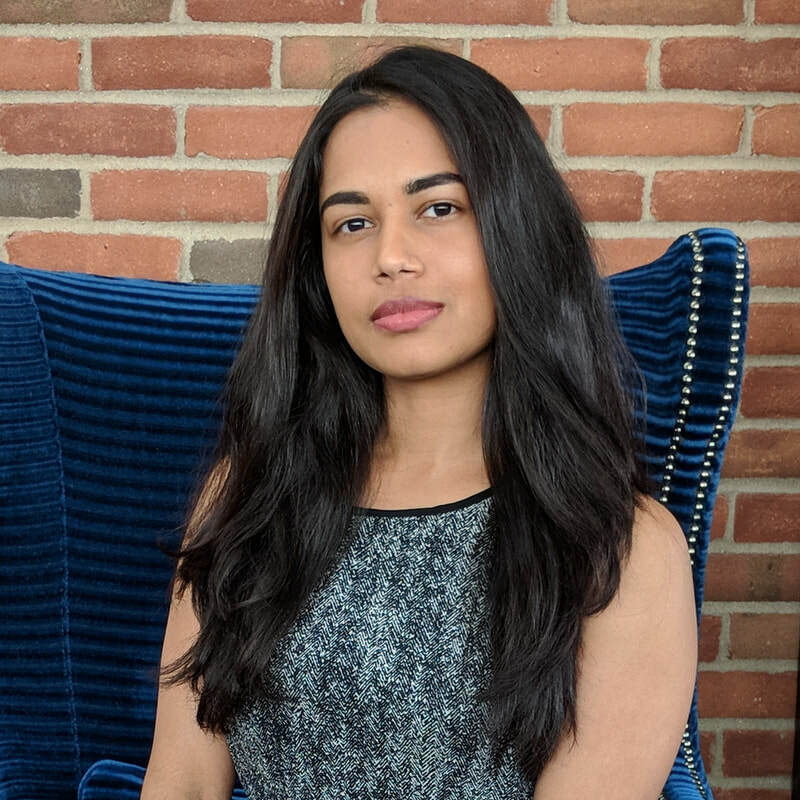 Madhu is a final-year master’s student at Georgetown’s Communication, Culture and Technology department, studying Artificial Intelligence Policy, Governance and Philosophy. 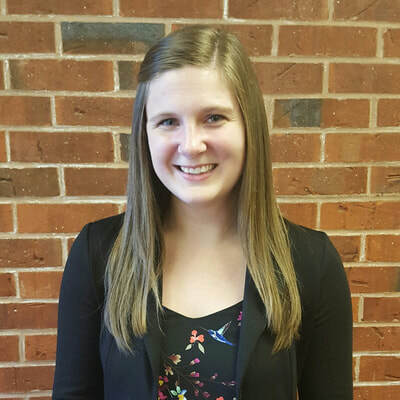 She is also currently a part-time research intern at the Brookings Center for Technology & Innovation. When she is not working on (or worrying about) her thesis, she offers consultancy on the Georgetown Honor Council, leads the content development team at GU DCode and directs advocacy efforts at GradGov. Her career aspirations are driven by progressive values and a staunch instinct to connect with people. In her true “downtime”, she enjoys watching films and belaboring their meaning at length later. Nour Laswi is a young professional born and raised in Amman, Jordan. She is doing her master's in Arab Studies at the School of Foreign Services, Georgetown and is a candidate in the International Business Diplomacy Honors Certificate Landegger Program. She is hoping to move into refugee crisis management and humanitarian aid after she graduates. She finished her undergrad with distinction in 2014 with a BSc in Banking and Finance, Minor in Economics from the Lebanese American University (LAU). Nour also received the Rhoda Orme Award in LAU for her service and dedication to others. Volunteering is a crucial part to her way of living as she is an active member in several NGOs in USA, Jordan, and Lebanon, especially in Rotaract as she was Head of International Understanding back in 2012. For the past three years, she was working as a Trader in Arab Bank. Part of her role was to analyze market trends; how political policies and events impact the market and predict the market’s movements. 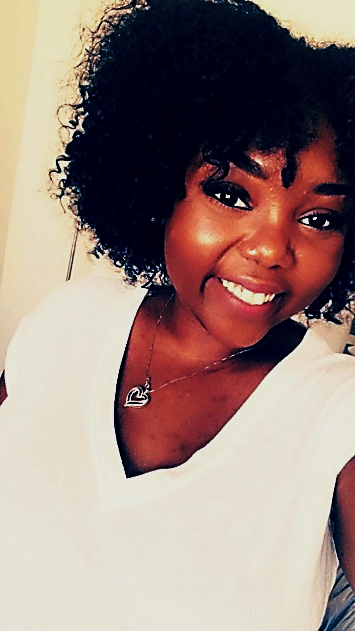 Destini Garrison is from Durham, North Carolina. She is pursuing a Master of Science in Biomedical Science Policy and Advocacy in Georgetown University’s Graduate School of Arts and Sciences (M.S., ’19). She received her Bachelor of Science in Biology from Virginia Wesleyan University in Virginia Beach, Virginia. She intends to further her education to create preventative epidemiological policy internationally. As GradGov’s Director of Communications, Destini is committed to providing inclusion to all Georgetown Grad Students through exemplary communication networks. Hadeel is pursuing a Master's at Georgetown in the Microbiology and Immunology Department. She earned a Bachelor's degree from George Washington University where she majored in Biology and minored in Chemistry and Psychology. As GradGov’s Director of Alumni Relations, Hadeel hopes to expand career and networking opportunities available to the Georgetown graduate student community. Shawn Rhoads is a Ph.D. student and National Science Foundation fellow concentrating in Lifespan Cognitive Neuroscience within the Psychology Department. He works in the Laboratory on Social and Affective Neuroscience to study how the neural mechanisms that sub-serve social cognitive and affective functioning (e.g., empathy) interact to promote prosocial decision-making and behavior. He has also worked with various stakeholder groups to promote student interests and build community engagement at the university, local, and national levels. 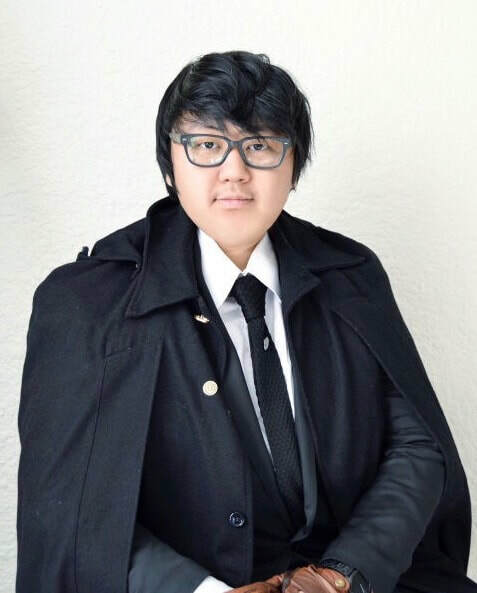 Junshen Ge is a first-year graduate student in the Economics program. 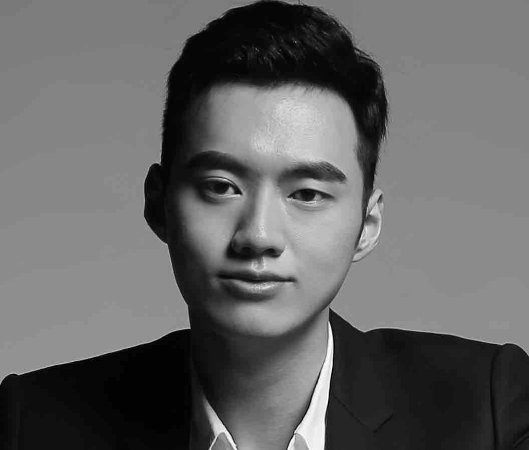 Before attending graduate school, Junshen graduated with a bachelor degree in economics from Durham University in United Kingdom and had multiple work experiences in asset management and investment banking.